In case you didn’t know, personal hosting New Zealand – THE specialist in boutique accommodation. Our clients love the personal hosting they receive. We’re talking about experienced hosts/owners operating boutique, purpose-built accommodation and depending on your budget, there’s plenty of choice, from a touch of luxury, to masses of it! 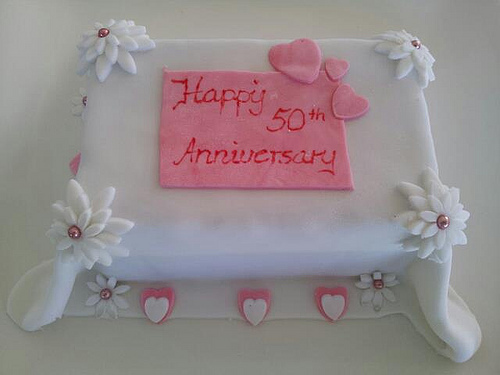 These heroes of New Zealand’s tourism are known for marking the special milestones in the lives of their guests – this gorgeous wedding anniversary cake was prepared in advance by your host. Often those personal touches will make all the difference with the holiday! You might be invited to catch to some crayfish with your hosts or get a surprise tray of port and chocolates delivered to your suite, like we did a few years ago in Waiheke Island. 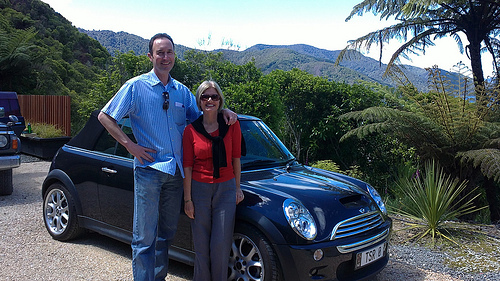 ..or complementary use of a Mini Cooper S Convertible to zip around the Sounds region as provided by the exclusive Sounds Retreat in the Charlotte Sounds. Aren’t we the bees knees! 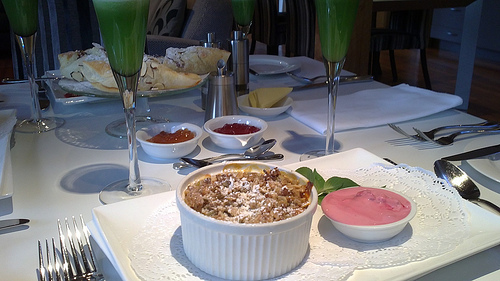 The breakfasts at Boutique accommodations are often amazing – this breakfast table at which shows the first course!! 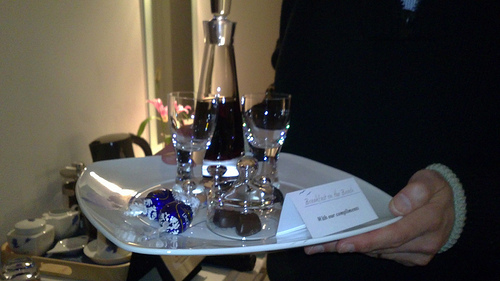 A good host will think ahead for their guests, anticipate possible obstacles and work towards removing them e.g. unforeseeable events like a bridge being closed because of weather due to a big overnight rainfall – no problem, the host advises the guests and recommends an alternative route already mapped out over a relaxed breakfast. Good hosts will also know when to step back – not everyone wants to talk. Also, expect them to be honest with their restaurant recommendations too. Our personal fav for Host of the Decade, has to go to Anne of Eliza’s Manor House in Christchurch, who with her husband Harold, painstakingly restored Eliza’s to and beyond it’s former glory after the Christchurch Earthquake. It’s now regarded as one of the most structurally secure buildings in New Zealand! Nothing is too much trouble to Anne and her guests love her. Yep, sometimes it’s the smaller guys that make the biggest difference to the travel experience.